KV331 Audio has released version 2.6.15 of its SynthMaster and SynthMaster Player synthesizer instruments for Windows and Mac. KV331 Audio’s SynthMaster Player with SM-800x skin. This major update brings support for Avid’s AAX format: SynthMaster and SynthMaster Player now run as native 64-bit AAX instruments inside Pro Tools 11 on both Windows and Mac OS X platforms. There are also other important additions, such as: A new skin for SynthMaster Player and more factory presets for both SynthMaster Player and Player Free. 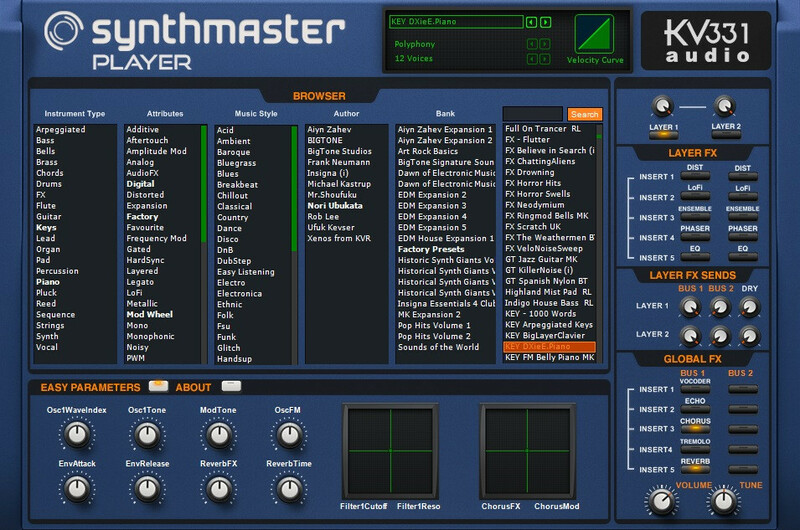 Added AAX version of SynthMaster&SynthMaster Player (32/64-bits on Win/Mac platforms). 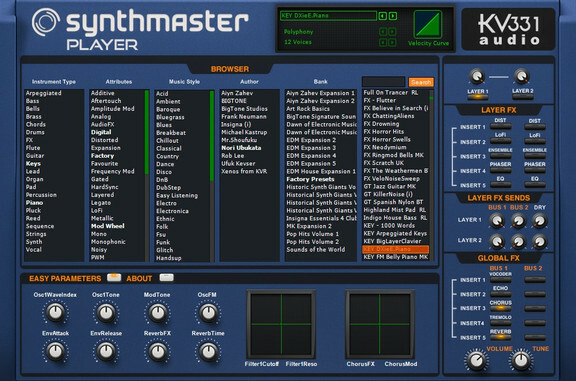 SynthMaster Player skins are now included with SynthMaster as well. Added MIDI Learn for XYPad controls. Added delete preset feature (by right clicking on a preset). Added random waveform selection for oscillators (by right clicking on an osc waveform). Added listbox scroll using mouse wheel. Added preset bank import feature. All SynthMaster&SynthMaster Player installers are now digitally signed. Changed Unison implementation to better manage resources. Users can now set the default preset to be used when initializing a new instance’s settings. Users can now search presets by typing in text inside preset search textbox. Users can now load a preset randomly selected from current filtered presets list. Added SM-800X skin for SynthMaster Player. SynthMaster Player now contains 800 factory presets. 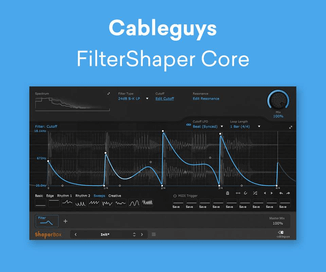 SynthMaster Player free now contains 200 factory presets. SynthMaster AU doesn’t respond to up/down keyboard events to change current preset. SynthMaster VST/AU doesn’t normalize discrete parameter values between 0 and 1, causing incompatibilities with many host applications. Selecting a Player skin crashes SynthMaster. Updated factory presets that have missing easy parameters. SynthMaster doesn’t read samples under \SynthMaster\Samples folder. SynthMaster doesn’t read waveforms under My Documents< \SynthMaster\Waveforms folder. SynthMaster doesn’t remember the last folder presets were saved to. Resetting settings of a section might crash SynthMaster. Pasting settings of a section from clipboard might crash SynthMaster. Loading settings of a section from a partial preset file might crash SynthMaster. Changing the value of skin dropdown using mouse wheel crashes SynthMaster. Changing the value of scale dropdown using mouse wheel crashes SynthMaster. “Preset Skin”, “Polyphony”, “Preset Quality”, “Preset Scale”, “Preset Buffer Size” parameters are not saved/loaded correctly for SynthMaster Player. The update is now available to download for Windows and Mac (incl. demo versions).